I've been nagging myself about the fact that I've posted almost zero holiday recipes this year, but I keep coming back to the same answer - I just don't have enough time (or energy) this year. Which then makes me a little sad. But then, I have to remind myself that Christmas isn't about feeding my chronic case of Do Too Much, and that it's ok if I let a few things slide off my enormous list. So, I'm going to let this little blog here take a cozy nap until the New Year, when I'll be back on an enthusiastic health kick. I just wanted to pause to with each and every one of you lovelies a blessed holiday and to wish you nothing but heart-warming moments. I'll be making a batch of Marshmallows tonight and maybe whipping up a batch of dough for our Jam Cookies. With Christmas music blaring, no doubt. 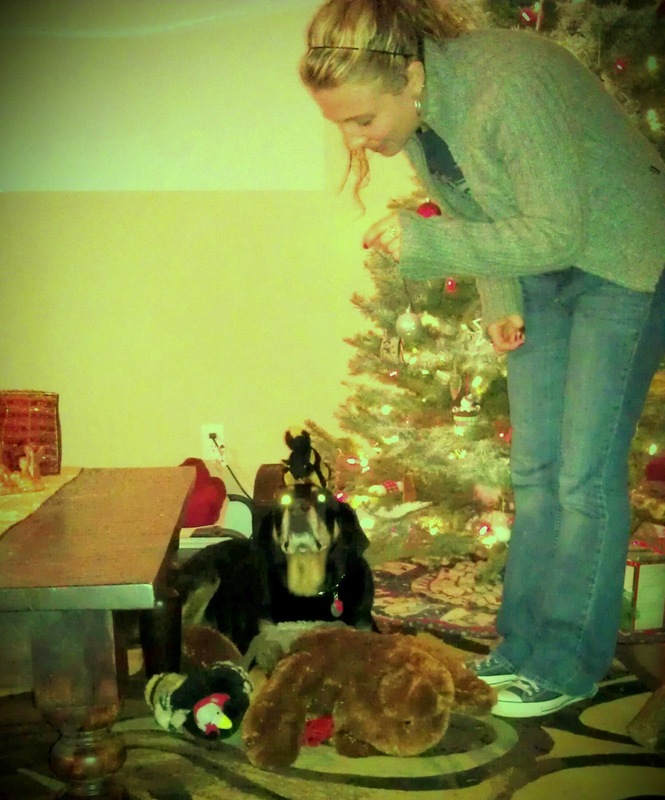 Christmas + Sugar = Yay! Ohhhh yessss, I did. 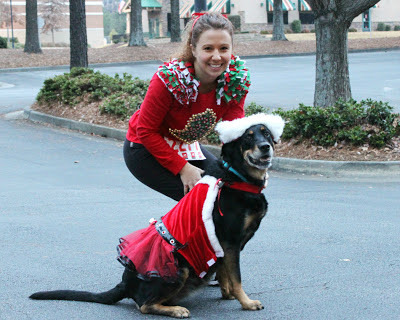 This is Rory and me before a 5k last weekend. And she absolutely wore the whole outfit for the entire 3 miles! So, yeah, I took this with my phone. But! 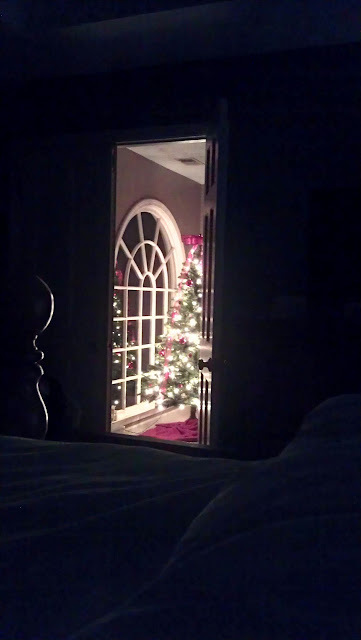 You can see our little fake tree from bed! Luuuuvvvvv. How fun and Christmasty to see a lit tree from your bed. Love it. Merry Christmas to you, Brian and Rory.